Paul’s Pick of the Week – All-New Accent! Top 10 Brands in Initial Quality – how does Hyundai rank? 5 interesting cars the Kona can outrun to 60mph! Register to Win an All-New Kona!! Happy New Years and all the best in 2017! Hyundai Tucson wins 2017 Autotrader.ca TOP PICK for Compact SUV! The Lauria Hyundai Blog – Mean Looking Elantra! 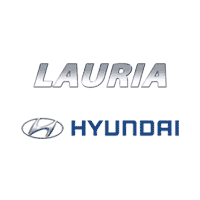 Have a Great Labour Day from all of us at Lauria Hyundai! A good laugh from the Olympics! 2017 Hyundai Elantra & Santa Fe earn Top Safety Pick+ Rating! Happy Birthday to Justin Hill! Happy Birthday to Mandy McFadden!